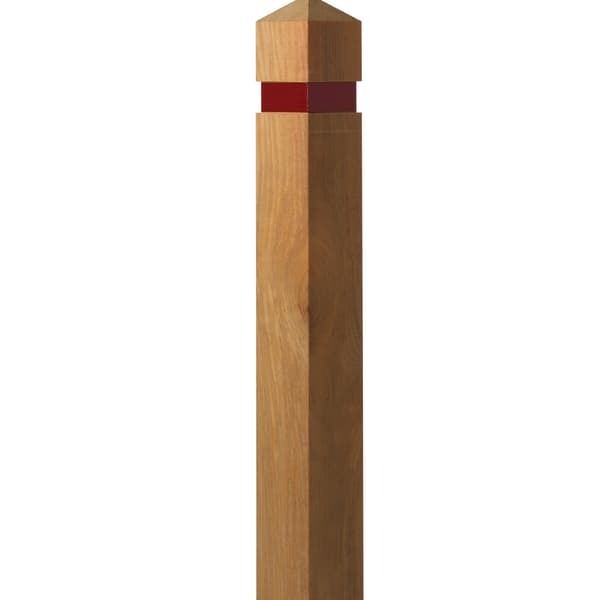 Designed to provide effective perimeter security and to control the flow of pedestrians and vehicles through a scheme, the Square Pyramid Top Timber bollard is suitable for a wide range of projects and environments, from urban to rural projects. 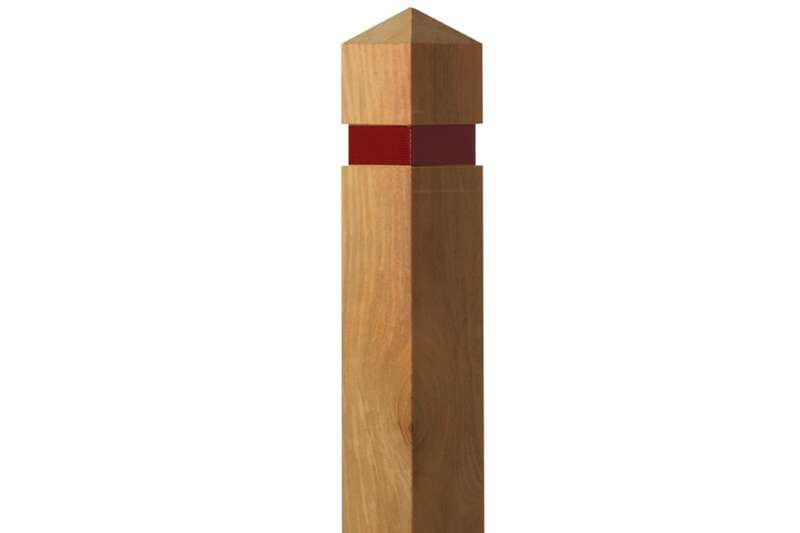 The bollard is manufactured in Opepe timber, an attractive hardwood that offers enhance durability through decay resistance, finished with a natural coloured protective treatment which also provides UV resistance and protection against water, fungus and insect damage.This bollard is available in different sizes - 125mm, 150mm, 200mm and 250mm, and different heights above and below ground, which adds to the versatility of this classic bollard. This versatile timber bollard also has a 50mm rebate near the top, perfect for a reflective band for added visibility and reflectiveness. 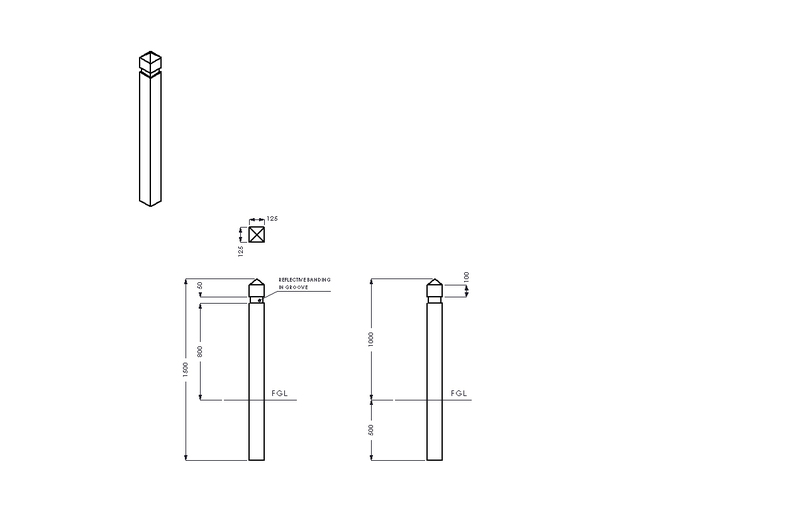 Bollards are available with 3 types of fixing - root fixing, surface mounted and removable.